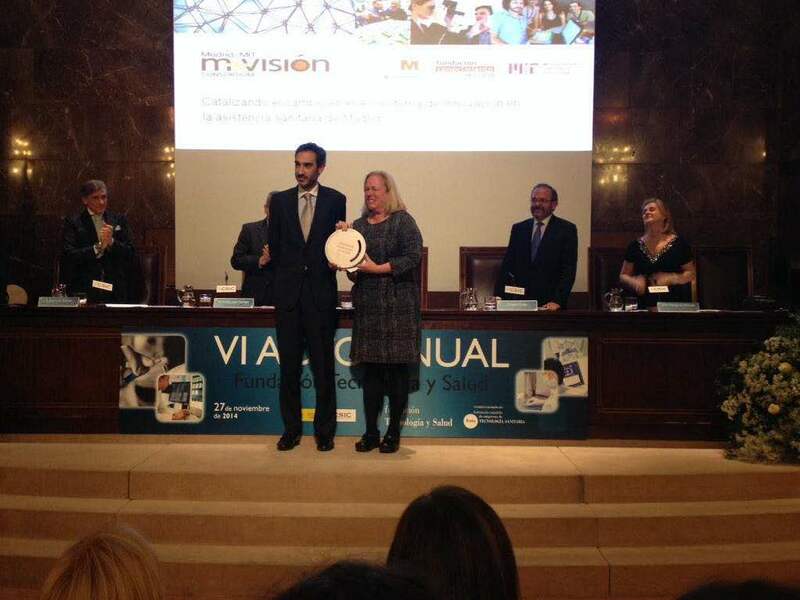 MADRID, SPAIN — The Madrid-MIT M+Visión Consortium, a partnership of the regional government of Madrid and the Massachusetts Institute of Technology (MIT), was recognized and awarded a 10,000€ prize by the Fundación Tecnología y Salud (The Foundation for Technology and Health) for its contributions to healthcare technology innovation and economic development in Spain. The Foundation is a nonprofit organization formed by the Spanish Federation of Healthcare Technology Companies (Fenin). Launched in 2011, the M+Visión Consortium brings together faculty and innovators from universities, hospitals, and businesses in Madrid and Boston to run the M+Visión Fellowship and a range of other programs and events. The Consortium’s goals are to prepare M+Visión Fellows for biomedical technology innovation leadership, to develop new patient-centric biomedical technologies, and to catalyze change in Madrid’s healthcare innovation ecosystem. The Fellows, based in the Research Laboratory of Electronics, design and lead multidisciplinary, translational research projects that show the potential for significant patient care impact. 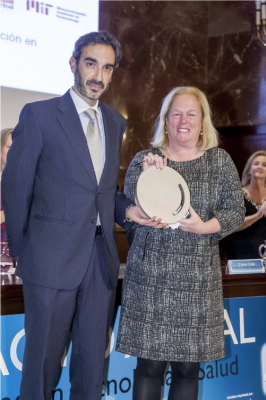 Below: Dr Luis Sánchez (left) and Dr Martha Gray (right) accepting the prize from the Fundación Tecnología y Salud for M+Visión’s contributions to healthcare and economic development.